If you have soccer fever like I do, the World Cup is what I look forward to watching very four years. 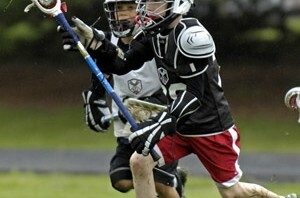 I don't know about you, but the first thing that came to mind when our son Timmy asked if he could play lacrosse was, "Hmm, isn't that another one of those European sports?" Beckham Wouldn’t Do It, Would You? That’s right! David Beckham, professional soccer player, would never go without adequate hydration. But I bet you already knew that!